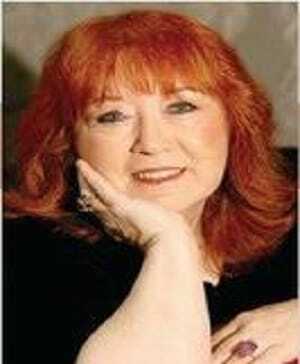 Jane Doherty is one of the nation's leading authorities on psychic experiences. For more than 20 years, she has acted as a communication bridge between the living and the departed, and has helped tens of thousands of people understand their past — and future. Jane's media coverage includes: The New York Times, CNN, Fox Network News, NBC News, MSNBC, Reuter's news media, House Party, and The Today Show. She co-hosted a radio psychic call-in show for eight years, published a book and starred in the TV series Dead Tenants for TLC which also aired internationally - as well as Jane Doherty Investigates -a DVD. Other appearances include: Dead Famous, Sightings, the Jenny Jones Show , and My Ghost Story seen on the Biography Channel. A renowned psychic for more than 20 years giving tens of thousands of readings, Jane Doherty is the leading authority on psychic experiences. She provides individual guidance through private consultation, conducts ghost investigations and seances to communicate with the other side and offers classes and workshops to those who are interested in discovering and developing their own psychic abilities. This fall she will appear in a new television series on a major network. Paranormal expert Dr. Hans Holzer named Jane as one of America's "Top 20 Psychic's".